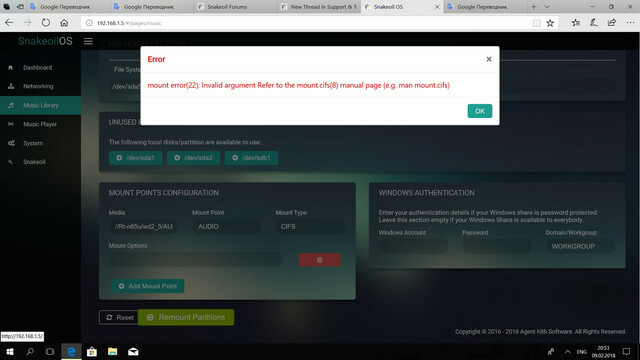 An error is generated when mounting the resource CIFS (mount error(22): Invalid argument Refer to the mount.cifs(8) manual page (e.g. man mount.cifs) ) From Windows the resource is visible and accessible (without a password). 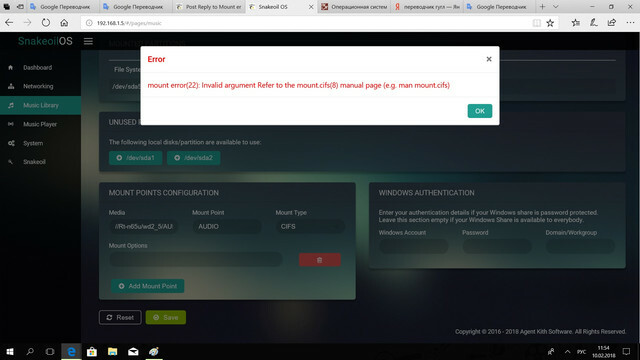 (10-Feb-2018, 01:53 AM) somiac Wrote: An error is generated when mounting the resource CIFS (mount error(22): Invalid argument Refer to the mount.cifs(8) manual page (e.g. man mount.cifs) ) From Windows the resource is visible and accessible (without a password). Remove the text 'WORKGROUP' from CIFS. And try to mount again. The CIFS credentials is designed to mount shares that are password protected. Private shares require the 3 fields - username, password and workgroup. If you are using a public share just leave all 3 blank. Cleaned, the error is the same. Interesting. Did you set up AUDIO as a public share, or password protected? 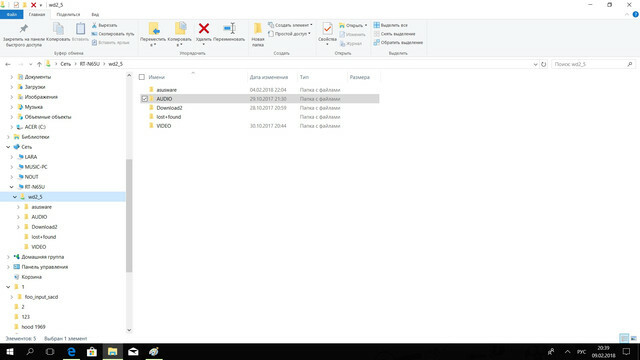 Can you show me the share configuration settings of that folder on your NAS? I use an ASUS RT-N65U router with an external USB disk for NAS. Now the share is configured without a password. But I tried and with the password, specified login, password and working group in the CIFS settings. The mistake was the same. I wonder why it's not working. Can you ssh to your Snakeoil machine, and run the following command? What happens then? Did the share mount properly, or is there an error message? All network resources are available and the file is played by the player. So the NAS part work, wonder why yours don't. I'd have a check on the CIFS part of things later today and see what the problem is. (17-Feb-2018, 03:26 PM) somiac Wrote: Did you fix the problem? Couldn't recreate the issue. It works for me - guest shares mount fine when all the three fields in credentials are left blank. I'm testing this on x64 system though. Are you using 64 as well, or 32 bits?